Minaret. 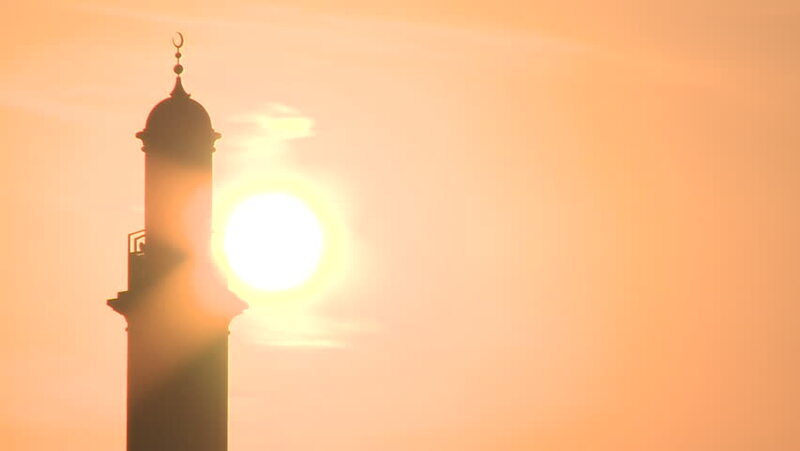 View of a minaret in silhouette framed by the fiery ball of the sun in a pinky orange sky at sunset. hd00:08Amsterdam, Netherlands, April 2013 - View towards river and church in Amsterdam. 4k00:20Solitary minaret of a mosque. standing against a cloudy sky. with young palm trees swaying in a gentle breeze in the foreground.